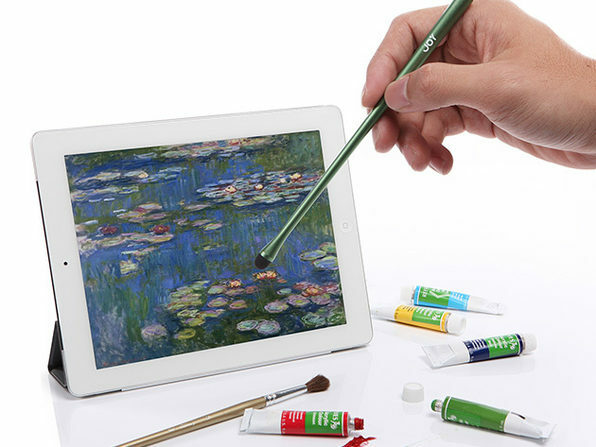 True to its namesake, the Monet Stylus helps you unleash the artistic potential of your tablet or other touchscreen device. It's designed to feel like a paintbrush in your hand, allowing you to produce sweeping brushstrokes as naturally as you would on a real canvas. With a pressure-sensitive tip and a generous 165° writing angle, you'll easily capture every nuance of your next digital masterpiece. For the Monet Stylus. To purchase the Monet & Da Vinci Stylus 2-pack, see drop-down above.